If you have not had the chance to get through all of the restaurants that you aspired to at the beginning of DFW Restaurant Week, fear not! 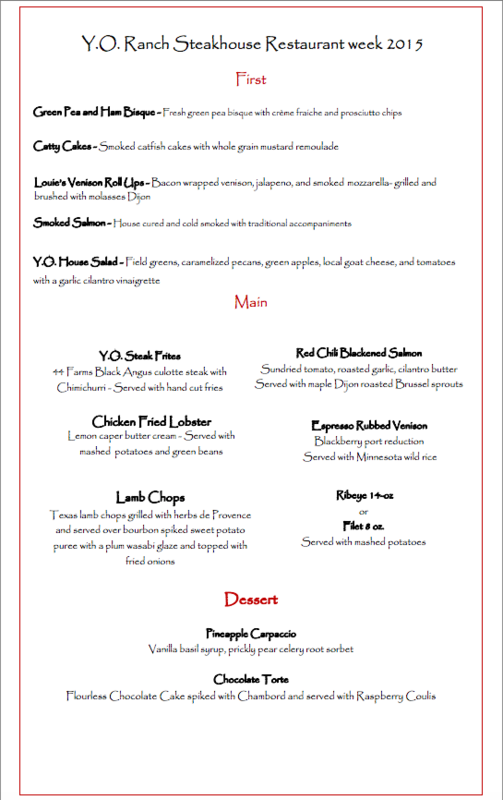 Almost all of the participating restaurants are still offering their special menus through this week and next week until August 23th, including Y.O. Steakhouse. With over 125 of the top restaurants in Dallas and Fort Worth to choose from, it’s impossible to dine at every single one, and we understand how difficult it is to narrow it down to the few that you can try. However, if you like unique flavor combinations, quality steaks cooked impeccably, gourmet dishes featuring wild game meat, a warm ambience, and good ol’ southern hospitality, our Dallas steakhouse should be at the top of your list. 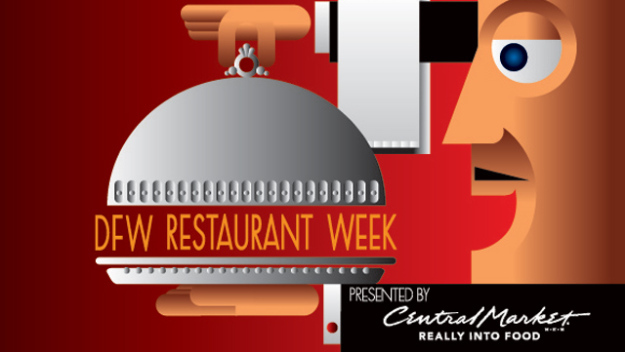 DFW Restaurant Week is an annual event during which restaurant goers can dine at a selection of some of the best upscale restaurants Dallas and Fort Worth have to offer for a fraction of the cost. The event was originally founded by Jim White, award-winning writer, journalist, and co-founder of the popular wine and food festival Savor Dallas. His idea was simple: gather a large group of 5 star restaurants in Dallas for a prix fix extravaganza. 15 years later, the event attracts tens of thousands of foodies all over DFW. At participating restaurants, patrons can enjoy a 3-course dinner for $35 to $45. Not only does DFW Restaurant Week provide great lunch and dinner deals for Dallas and Fort Worth restaurant goers, it also benefits an amazing cause. 20% of every meal price is donated to North Texas Food Bank and the Lena Pope Home. Y.O. Steakhouse is well known for taking classic Texas flavors and enhancing them with a contemporary flair. Chef Tony Street has developed a special dinner menu for DFW Restaurant Week, including many customer favorites such as Louie’s Venison Roll Ups, Chicken Fried Lobster, Y.O. Steak Frites, and our gluten-free Chocolate Torte served with a heavenly Raspberry Coulis. Our guests can also choose from many items that are not available on the regular menu, like the Green Pea and Ham Bisque and Catty Cakes for the 1st course, Lamb Chops for the main course, and Pineapple Carpaccio to end the meal on a sweet note. The 3-course dinner is just $35, no matter what path you take through our menu. Reservations fill up very quickly each week, so be sure to book your table ahead of time.